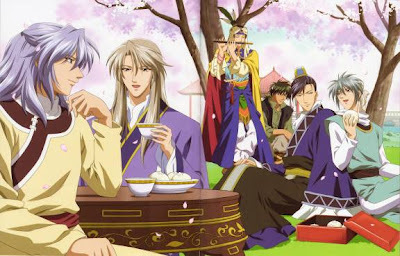 Kou Shuurei's dream has always been to become a government official, but to do so she must take the Imperial Examinations, which women are not allowed to do. To compensate, she works at a temple teaching children in order to pass her dream on to those who can do what she cannot. 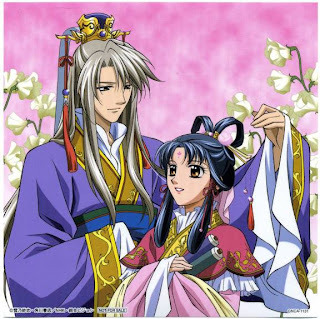 Shuurei was born into a noble familly, but she and her father, who live together with their adopted son, Seiran, are very poor. Seiran wants to be Shuurei's body guard because he wants to protect Shuurei..The house is in disrepare and Shuurei must work odd jobs to make ends meet, while her father holds a position as a librarian to the Imperial Palace, a job that is very presigious but pays very little. Shuurei is very hard working and always does her best at both house hold chores and her many jobs, but she can be a bit of a workaholic sometimes and when she gets into something she never stops working to get the job done. 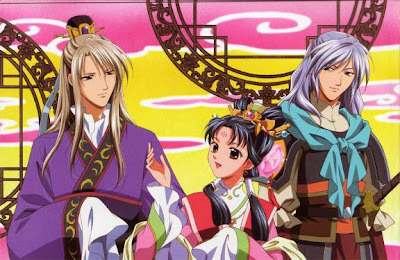 I love this anime because it is an interesting when Shuurei try to take the exam, but she faces lot challenges from the greedy, evils, and inresponbility officers in the palace..So, it is not easy for her.. They always turn down on her because she is woman.. But, she is lucky because she get her friends and familyu who support her, especially the Emporer Ryuuki. He cannot help her in the front of the officer because he is aware of his status as important 'Emporer'. I think that they always love each other in their secret.. lol.. Funny,Shuurei thought that Seiran and Ryuuki are gay since beginning.. Maybe Seiran fell love on Shuurei so early since he is kid who adopted by Shuurei's parent..That is why he still want to follow her go to where.. Ryuuki cannot follow her and put his trust on Seiran and his friends when she gets the mission at outside..
Well, you think its romance story? No, there are alot of different things are in the palacca and outside, such as the politics, crimes, and many. I also admire Shuurei because she might not have any special abilities or any such extraordinary skills, but her steadfast heart and her strong will to fight for what she believes in makes her more than worthy of the title bestowed her. She don't care others blame on her and always make her fell from the top so, she still never give up and keep to run around to complete her mission! I also surisped about Shuurei's dad - mysterious guy! From beginning, I thought that he is very nice guy. He is not good at taking care of cleaning Shuurei's house! In the past, he was a cold-blooded person that would not hesistate to kill someone with a blink of an eye! Saiunkoku Monogatari isn’t a bad anime and also have a lot of comedy scenes!. I can see it is a fairly popular anime for girls in Japan. It get excellent drawing with gorgeous men and women. The way the scenes are cut makes the animation thrilling and exciting. The effects are good too and the personalities are drawn out of the characters are reflected on their colorful clothes and their facial expressions. This is very great! 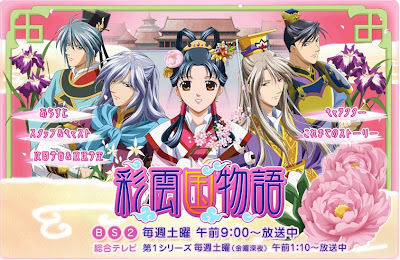 I finished to watch the season 1 and 2 ;Saiunkoku Monogatari. It still not yet complete. I also wonder if it will continue to new season 3?.. Lucky! my youngest sis already download all epsiodes from Season 2 in the internet. Better to buy new anime DVD or enjoy to read the manga Sainukoku Monogatari!